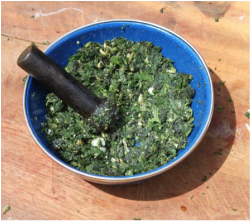 In Spring the wild plants and herbs are bursting with green energy. Time for a spring detox to clear out the system after the cold winter. In Summer, the flowers are where the plants focus their energy. In autumn it's the nuts and fruits. In winter, the roots. 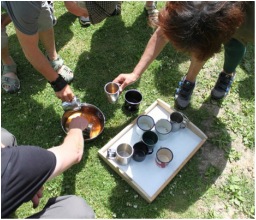 Join us for a seasonal foraging and wild food cooking masterclass to awaken your senses and tastebuds to the wild plants and food that are around at the time of year. 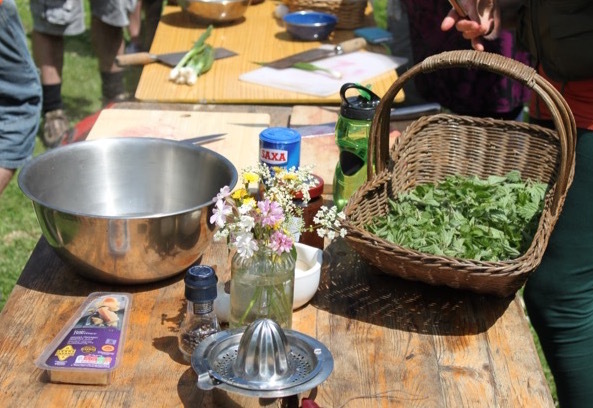 On this foraging and wild food masterclass, you'll learn what you can harvest to help keep you alive and sparkling, to invigorate your body and spirit. 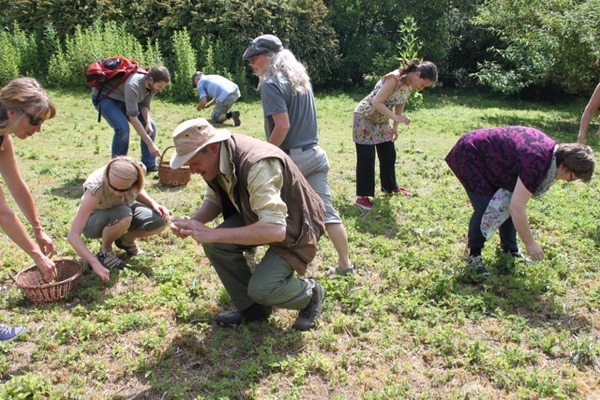 We’ll first look for and forage a variety of greens, trees and flowers that are available to eat. 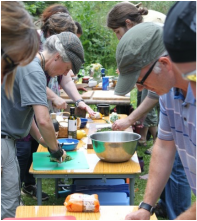 Then we'll return to our 'outdoor kitchen' for a hands-on class where you'll cook and prepare a tasty forager's feast, and learn a variety of things to cook on the fire. • dandelion, elderflower or primrose fritters with wild honey, (for dessert). You’ll also learn what not to pick, and all the do's and don't's to keep you foraging safely. Never look at a 'weed' the same way again! 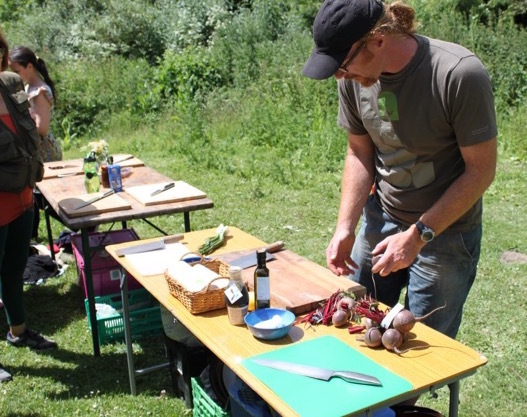 This wild food cooking masterclass is led by bushcraft and nature connection expert Robert Fallon of Wild Nature. The cost is £55, which includes food to cook on the day. Suitable for beginners and those who'd like to refresh their skills. It's being held in a great location. • Tea and biscuits included, but do bring a hot drink and snacks if you'd like. "This was a delicious session in so many ways. Wonderful teacher, great food and I learnt lots. Many thanks!"